Sammy and his sister Missy came to us as such special gifts. During the time we had Sammy with us, his sweet nature and playful spirit added so much to our home. He and Missy would run, play and make us laugh until tears were streaming down our faces. Sammy was the true “life of the party”. 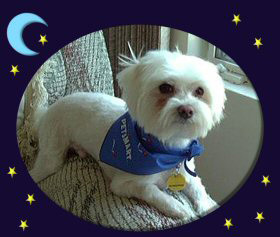 Sadly life took a turn that would send Sammy down a dark road of illness. We struggled to do all that we could to improve his life, but that was not to be the case. This past February Sammy left us for a better place. He will be missed by all of us, but we know that he is now a happy, healthy dog.